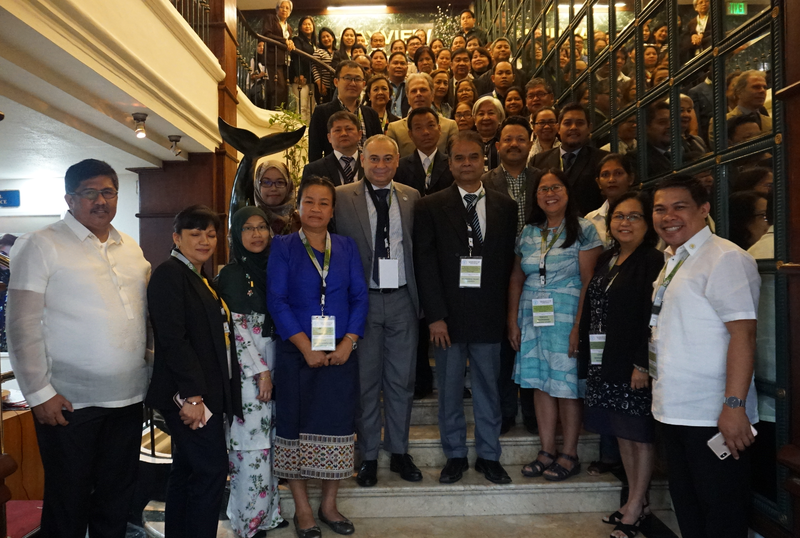 5-8 March 2019, Manila, Philippines – Representatives from Asia gathered together in Manila this week for a Regional Training Workshop on the conservation and sustainable use of plant genetic resources for food and agriculture (PGRFA), and on Farmers’ Rights to such resources. The 55 participants represent 12 countries, all of which are members (“Contracting Parties”) of the FAO’s International Treaty on Plant Genetic Resources for Food and Agriculture. The Workshop will provide a platform for sharing best practices, experiences and lessons learned. This is the first such regional Workshop to take place in Asia. Addressing the Workshop participants via video message from FAO headquarters in Rome, International Treaty Secretary, Kent Nnadozie thanked them for their work and said, “Our food security and nutrition depend on the sustainable use of PGRFA, a public good that benefits the global community,” and stressed the importance of conserving the world’s crop diversity, adding that “every loss of a food crop variety further weakens our food basket, and the diversity of the basis of our nutrition.” He also underlined the important role of the International Treaty over the last 15 years in the conservation and sustainable use of PGRFA, as also in encouraging the implementation of Farmers’ Rights. The Workshop is being led by International Treaty Secretariat staff in close collaboration with the Philippines’ national Bureau of Plant Industry, and includes participants from Bangladesh, Bhutan, Cambodia, India, Indonesia, Japan, Lao PDR, Malaysia, Mongolia, Nepal, Sri Lanka and the Philippines. Over the course of four days, the Workshop will include interactive discussions and diverse country and institutional presentations, ranging from policies and regulations to technical development programmes, including capacity building initiatives. The final day of the Workshop comprises a field trip to in-situ and ex-situ conservation activities at the International Rice Research Institute (IRRI), the University of the Philippines at Los Baňos, Laguna, and the Bureau of Plant Industry’s PGRFA centre. The Philippine National Focal Point for the International Treaty, George Culaste of the national Bureau of Plant Industry, who helped organize the regional Workshop, expressed his appreciation to the Secretariat of the International Treaty for the opportunity to share and learn from regional neighbors’ work on conservation of PGRFA and the implementation of Farmers’ Rights. In his opening remarks, Jose Luis Fernandez, the FAO Representative in the Philippines highlighted the important role of the International Treaty as a crucial instrument in facilitating the exchange of information and knowledge on plant genetic resources across the Asia Pacific region and around the world, and in supporting farmers who provide food for us all. He also spoke of the ongoing FAO initiative with the Philippine government regarding dynamic conservation and sustainable use of agro-biodiversity in traditional agroecosystems. One of the key outputs of that project is the establishment of 17 Community Seed Banks that will provide a place where traditional varieties of seeds will be conserved, and diversified, while providing seed reserves during droughts, typhoons and other disasters. The participants said they are looking forward to learning from each other and to strengthening their respective efforts towards the conservation and sustainable use of PGRFA.